Welcome to Range Steel Stockholders web site. Range Steel Stockholders has been successfully providing ferrous steel in its various forms to its hundreds of clients for over 30 years. Our procedures are Quality Assured as part of ensuring every attention is given to maximising the benefits we pass on to our users. Analysing and benchmarking play a key role in raising our standards to the highest level, no less will satisfy our demanding clientele. On-going Investment in staff expertise, processing facilities, logistics and information technology enables the company to play a key roll in the production cycle of client systems ever reducing the need for buffer stocks and erasing the burden on material requirements planning. Our main objective is to be the first-choice supplier of linear steel products to medium and smaller industrial and manufacturing sectors. 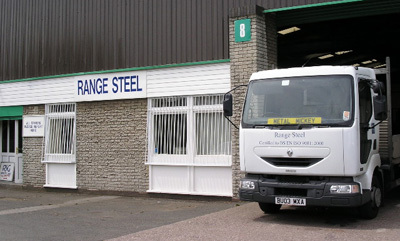 Range Steel Stockholders have operated from Saltley in Birmingham for 30 years. The location provides excellent access to motorways for ease of distribution to all our clients throughout the UK.